The search tool lets you perform detailed, multicriteria searches among the patient files, using a wide variety of criteria. 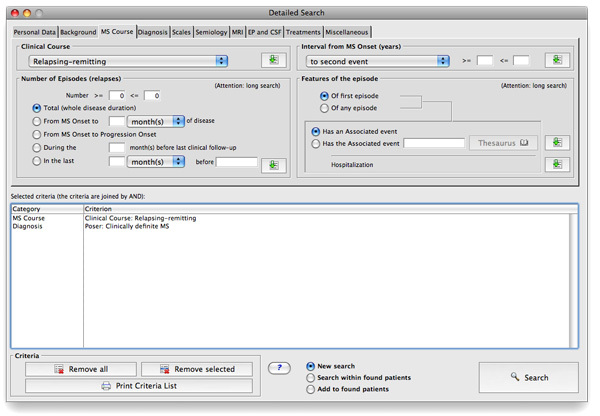 In addition, it is possible to perform a new search (with different criteria) among the patient files found by a previous search. For further searches, or searches for which none of the available search criteria is adequate, EDMUS can export the data (or a defined subset of data) into tabulated text files (see the "Export" page), which can then be opened and studied using other software (Excel®, statistical software…).